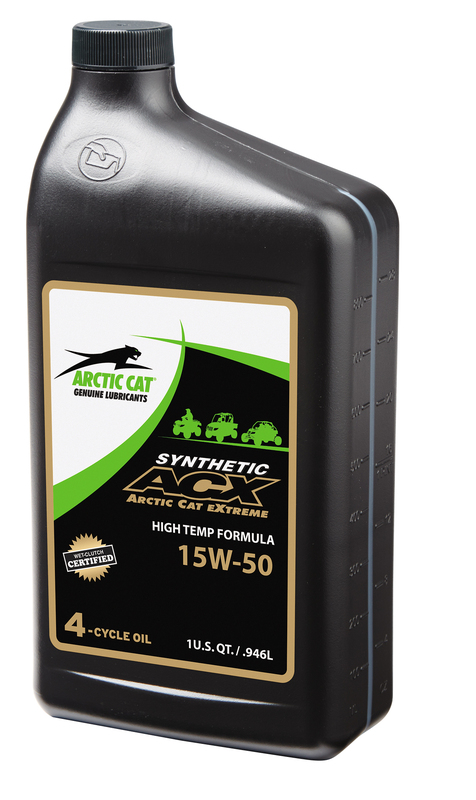 Arctic Cat?s Full Synthetic 15W-50 is a new, heavier viscosity formula of the original, proven Synthetic ACX 4-Cycle oil. Formulated specifi cally for hot weather use in Wildcat, Prowler and ATVs, it provides ultimate hot temperature engine protection and prevents thermal breakdown in severe conditions. Can also be used in professional applications such as racing, construction, farm and ranch where the machine faces heavier loads and greater engine stress. NOTE: NOT recommended for use in ambient temperatures below 32? ?F ?ö heavier viscosity will make starting more difficult in extreme cold. 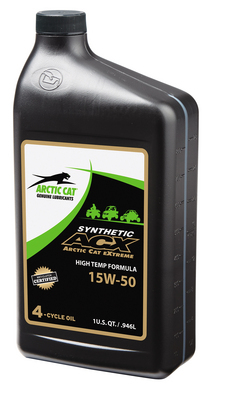 Original Synthetic ACX (0W-40) engine oil recommended for all-season use.